Michele Flournoy is the early favourite to succeed Chuck Hagel as secretary of defence. And while some commentators have wondered whether the Pentagon’s former third-highest-ranking civilian and founder of the influential Center for a New American Security (CNAS) isn’t better off waiting until Hillary Clinton’s presidency to take the defence secretary job, on paper it’s hers to lose. 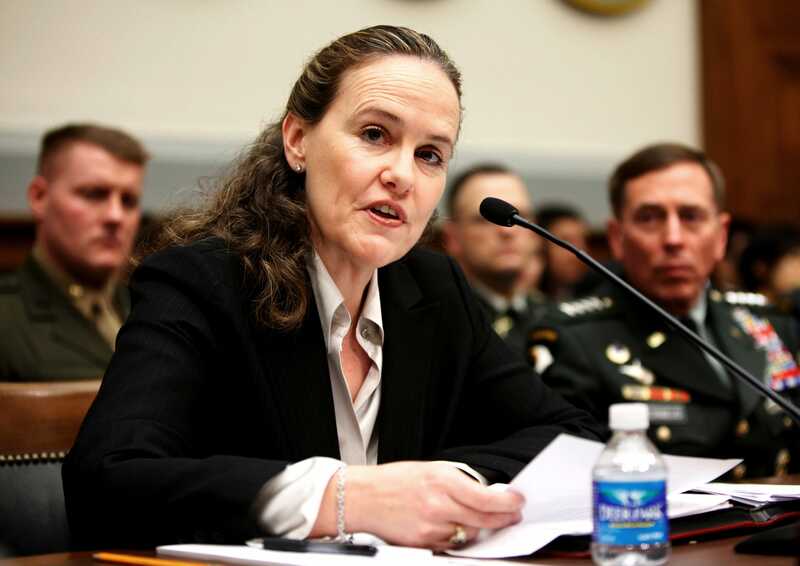 Flournoy was floated as a possible replacement for the outgoing Leon Panetta in 2012. She was on the winning side of many of the biggest national security decisions of Barack Obama’s first term and helped create an institution in CNAS that’s turned into the Democratic party’s leading ideas factory on military and defence issues. Republican senator Lindsay Graham, an interventionist right-winger on foreign policy and one of the leaders of the opposition to Hagel’s nomination, has already declared that he believes Flournoy to be a qualified and acceptable candidate. The fact that she’d be the first female secretary of defence in history surely isn’t lost on the White House either. Here are some of the most important things to know about Flournoy, the possible or even probable next secretary of defence nominee. She’s closely associated with the “counterinsurgency” school. During the 2008 campaign, then-Senator Barack Obama carefully packaged his opposition to the Iraq War in terms of the allegedly neglected effort in Afghanistan — a stance that bolstered his national security bona fides while allowing him to simultaneously run on his anti-war credentials. When Obama made it to the White House, one of his earliest national security challenges was actually spearheading this promised change in Afghanistan policy. The resulting debate pitted two vocal camps against one another within his administration. The “counter-terror” supporters (Vice President Joe Biden among them) wanted to narrowly recast the mission as an effort against Al Qaeda central and other terrorist groups committed to attacking the US. “Counter-insurgency” advocates wanted the US to commit to a hearts-and-minds, nation-building heavy strategy that would use a surge of US troops to backstop an ever-more capable Afghan government’s gains. The “COIN” advocates wanted to reproduce the US’s recent successes in Iraq, such as they seemed at the time. COIN, which is manpower-heavy and requires US troops to engage in development and capacity-building work typically outside the purview of military personnel, has always been controversial. The recent disintegration of Iraq certainly casts the US’s COIN efforts in a problematic light. But the fact remains that Flournoy was a leader of the winning camp in one of the most significant policy debates of Obama’s first term. She thinks the US military is suffering from a new “Vietnam syndrome.” In a 2012 article, Michael Hirsh of the National Journal included a fascinating insight into Flournoy’s thinking. 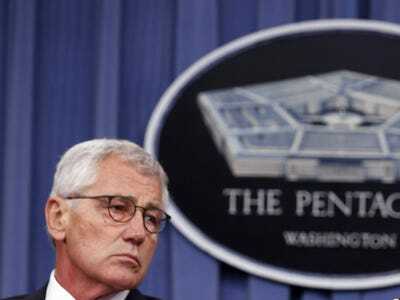 Hirsch made the now-familiar point that the experience of fighting in Vietnam had made Chuck Hagel deeply sceptical of military adventurism. But he noted that Flournoy took a much different message from the conflict and its legacy. Does this mean she thinks that the US checkered experiences over the past decade shouldn’t prevent it from sinking resources into new conflicts — like the fight against ISIS, for instance? We may find out if she becomes defence secretary. At Hirsh’s reporting suggests, she’ll at least be somewhat less wary of the use of force than her predecessor. Larry Downing/ReutersOutgoing US Secretary of Defence Chuck Hagel (L) listens to Chairman of the Joint Chiefs of Staff Gen. Martin Dempsey in a press briefing at the Pentagon in Washington, September 26, 2014. The administration ended up sticking to its Iraq timetable after all. But as Dreazen notes, several of its top officials — including National Security Advisor Susan Rice and top Iran negotiator Wendy Sherman — have ties to CNAS. Its current list of affiliates is a who’s who of Obama-era national security figures, including Anne Marie Slaughter and General John Allen. Flournoy is currently the Center’s CEO, making her both the founder and leader of one of the Obama era’s most important policy shops. She grew up without knowing her father was a World War II hero. Flournoy’s father died when she was 14. And while she’d heard that he had earned some kind of commendation in World War II, he never talked to her or really anyone else in the family about his experiences in combat. Flournoy grew up without hearing much in the way of specifics about the award and long dismissed the story an exaggeration, according to a 2009 New York Times profile. “They were flying a nighttime bombing raid in Germany and the plane was shot up on coming back, and the co-pilot and pilot were either incapacitated or unconscious,” Ms. Flournoy said. “So there was nobody to land the plane. And he’d never landed a plane. And he got behind the controls and got talked down and landed the plane and saved the entire crew.” He was awarded the Distinguished Flying Cross, she said.